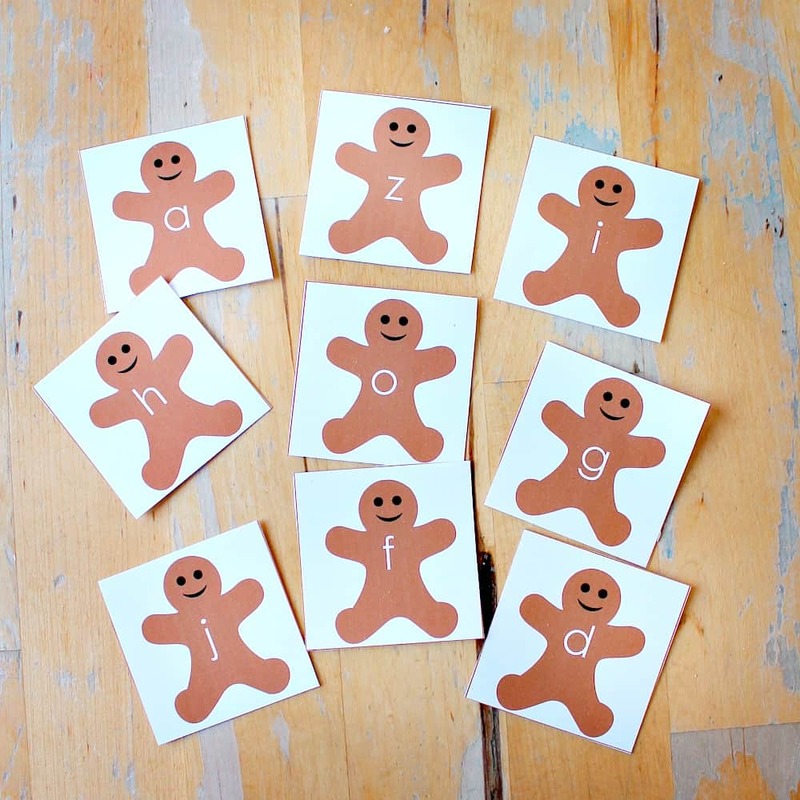 You can use the letter cards in all your spelling activities during the Gingerbread Unit. 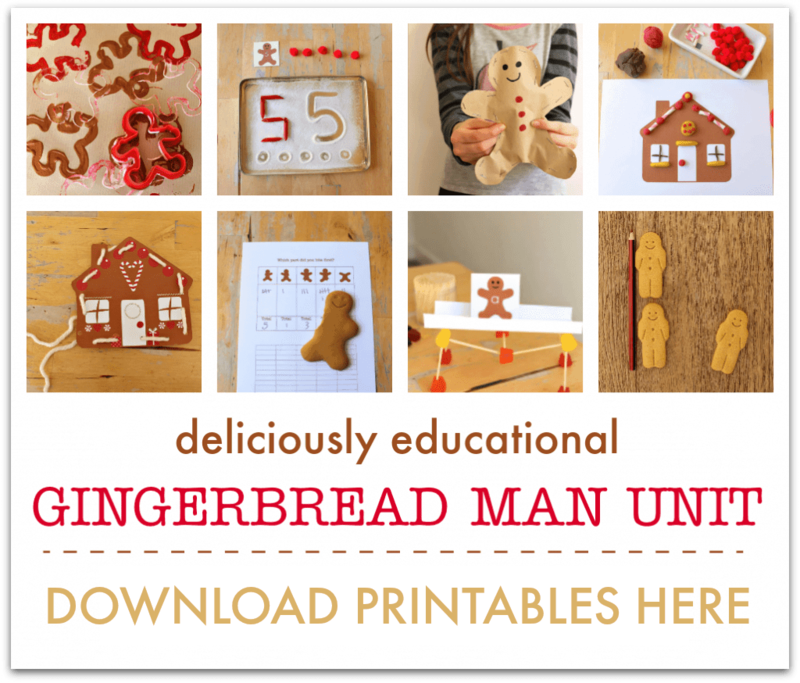 Print the letter sheets from the Gingerbread Man Unit onto card and cut out each square. You might like to laminate the cards for extra durability. You can also use the words with a sensory writing tray, to make spelling practice more fun and more effective. We need to put in time to learn to read and write, but repetition can sometimes be unappealing. So, let’s make it fun for our children, with an element of sensory play. 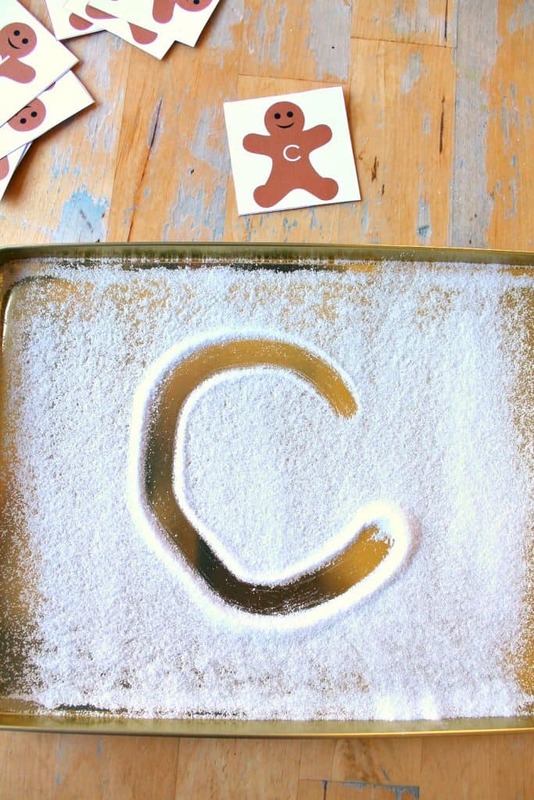 You can write in sand or salt, coloured orange-brown to make it gingerbread-themed. Add a shake of ground cinnamon and ginger for scent. To colour the sand, simply grate in a stick or two of orange/brown chalk and shake the sand to disperse the colour. To dye salt, place it in a plastic food bag with a drop of orange and brown food colouring. Shake the bag to mix the colour through the salt. Then lay the salt out overnight to dry. 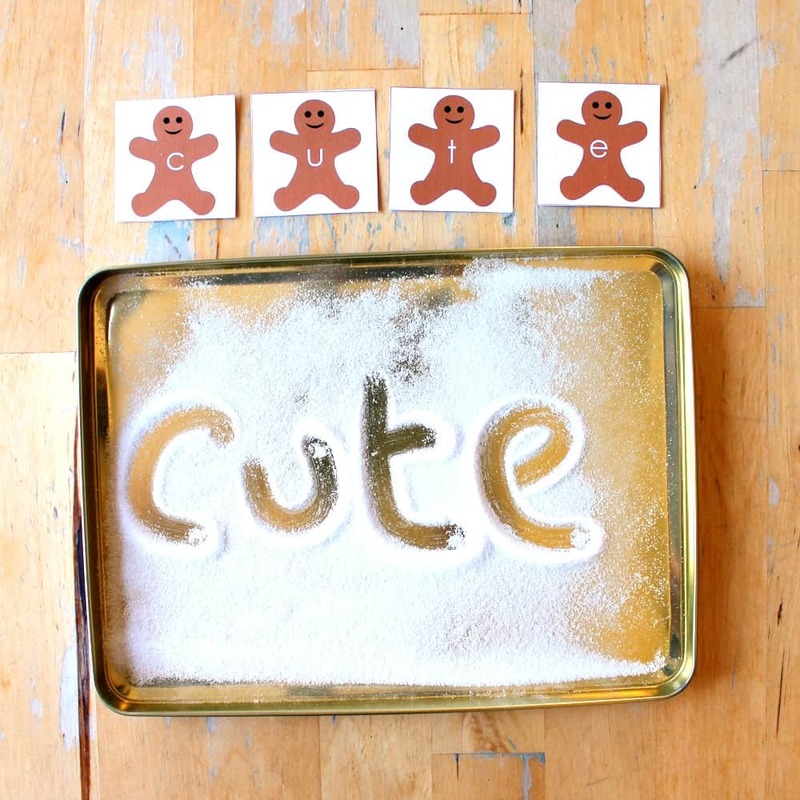 When you’re ready to practice writing, lay out a thin layer of your sand or salt on a tray, piece of thick card or other surface. Then use your finger – or the handle of a wooden spoon! – to write your words in the salt/sand. Younger children might like to make lines, circles, curls, and squiggles. 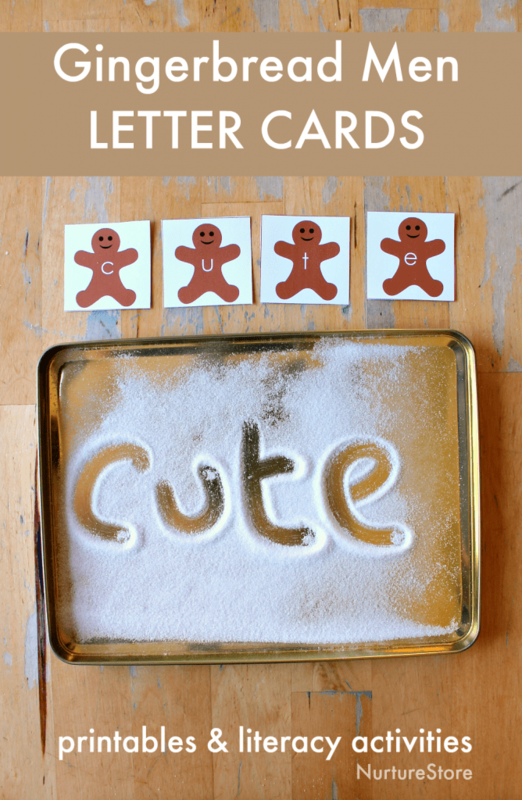 Older children can use the letter cards to copy letter shapes, to write their name or to work on spelling.